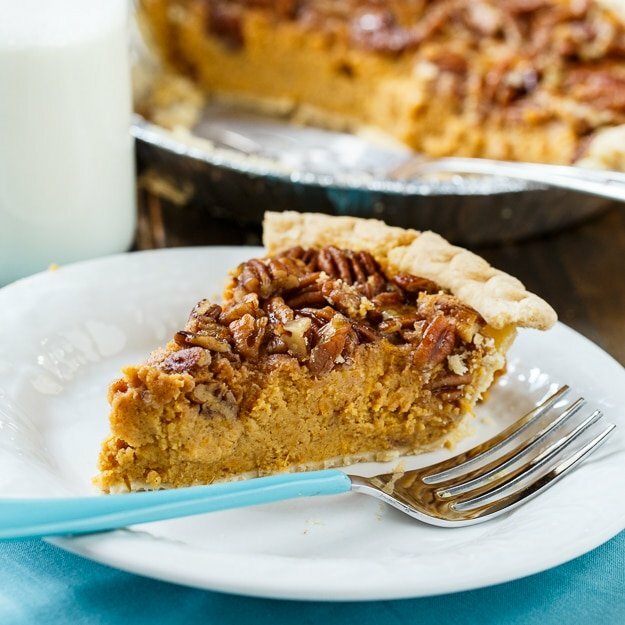 As much as I love fall baking with pumpkin, I love sweet potatoes just as much, maybe more. What’s great about sweet potatoes is it’s so easy to bake them or boil them and make fresh sweet potato puree. Not so easy to do with a pumpkin. But the flavor and color sweet potatoes give food is very similar to pumpkin. 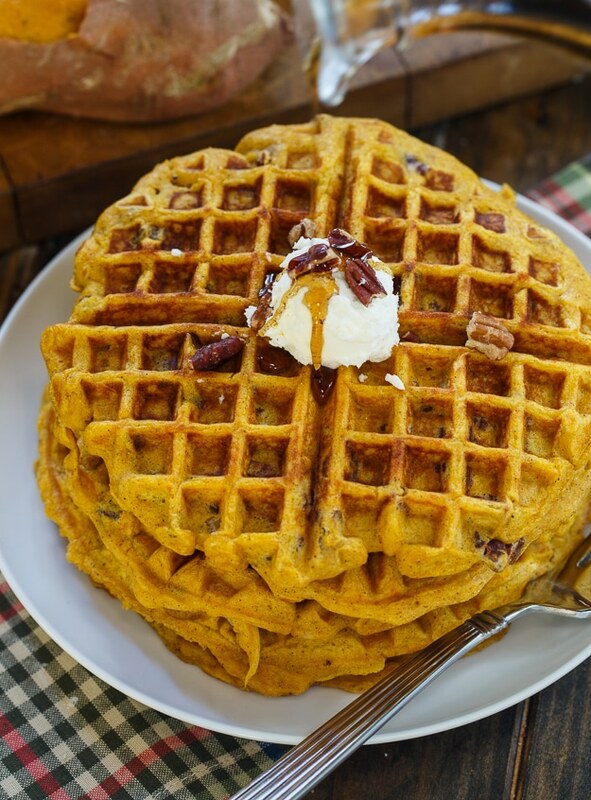 Sweet Potato Waffles are a delicious and hearty way to get your fall weekend started. 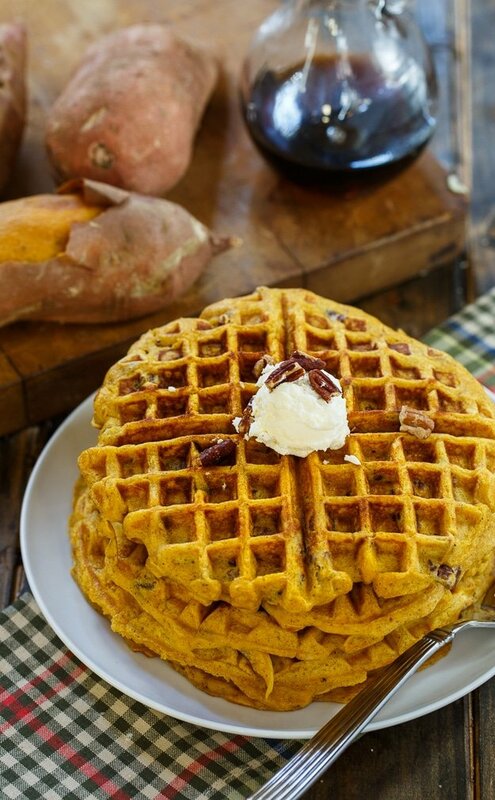 The sweet potatoes give the waffles a wonderful orange and earthy color. 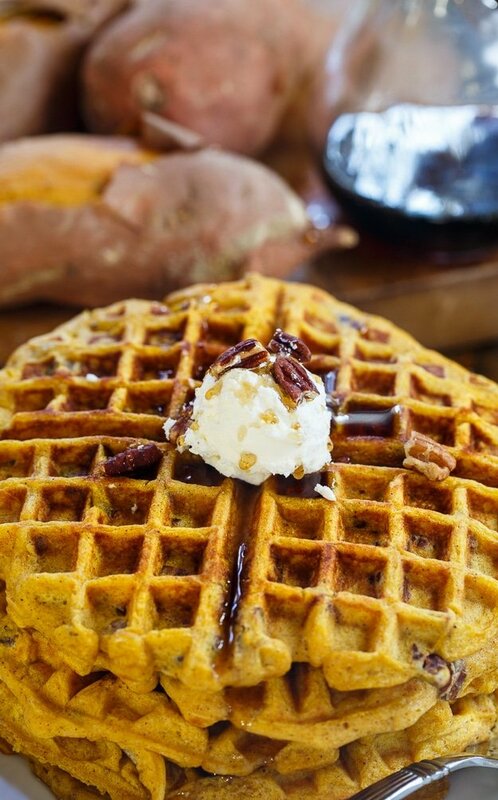 Some cinnamon and nutmeg enhance the flavor of the sweet potatoes and make the waffles taste like fall on a plate. I like to put a great big dollop, ok maybe a scoop, of whipped butter on top. 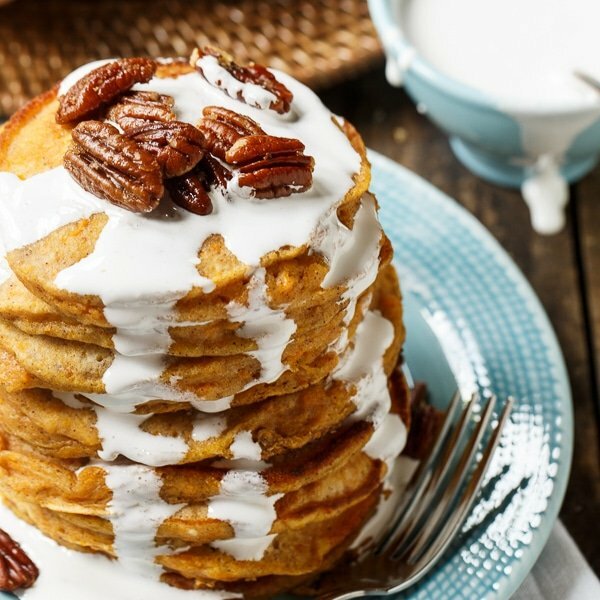 The waffles themselves don’t have all that much sweetness to them so you can give them a generous drizzle of maple syrup without them being too sweet. I made these on my new waffle iron. We have been using a Belgian Waffle Iron from Williams Sonoma that was a Father’s Day gift to my husband nearly 15 years ago. I love it but have grown wary of using it since sparks sometimes fly out from the electrical socket when I pull the cord out. Plus after years of making square waffles I was in the mood for a change. So I bought an inexpensive Cuisinart Round Classic Waffle Maker . It makes a thinner waffle but for now I am enjoying the change. Do you have a waffle iron you really like? 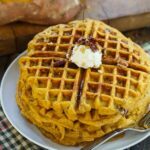 Some cinnamon and nutmeg enhance the flavor of the sweet potatoes and make these waffles taste like fall on a plate. 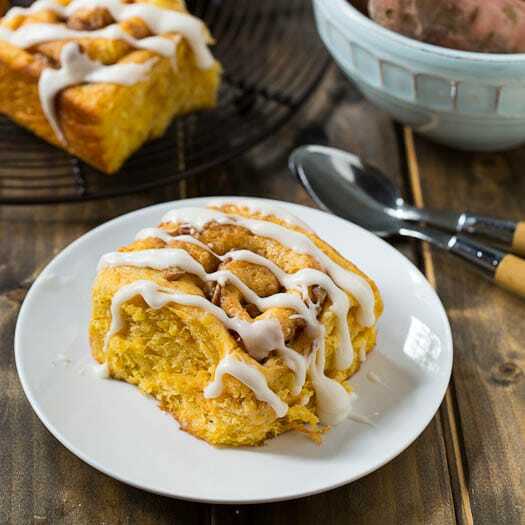 In a large bowl, whisk together flour, brown sugar, baking powder, cinnamon, nutmeg, and salt. In a medium bowl, whisk together egg yolks, sour cream, milk. sweet potato, and butter. Add wet ingredients to dry and stir just until all flour is moistened. Using an electric mixer, beat egg whites until stiff peaks form. Cook waffles using a waffle iron according to manufacturer's directions. 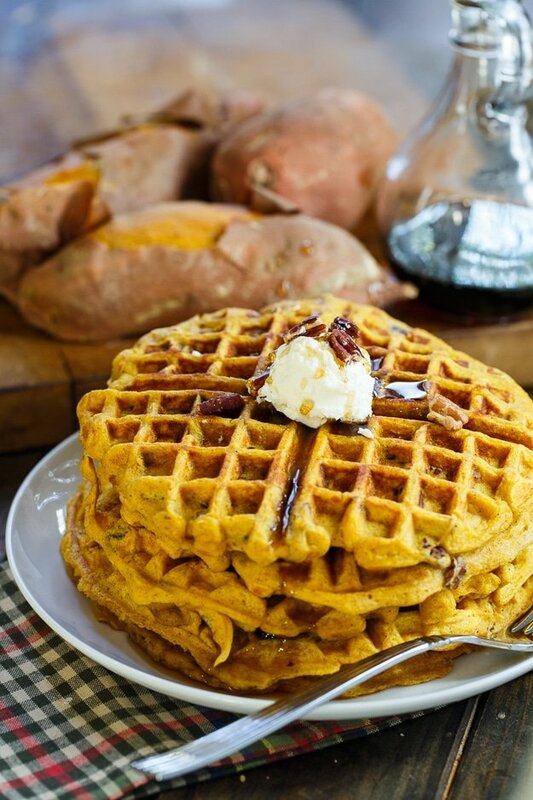 This entry was posted in Breakfast and tagged sweet potato, sweet potatoes, waffles. Bookmark the permalink. I made a sweet potato pie for Christmas and knew people would be skeptical, so I didn’t tell them what it was. Nobody even noticed that it wasn’t pumpkin! I almost prefer sweet potatoes to pumpkin — they are so much more versatile. And these waffles look like something I need for breakfast soon! 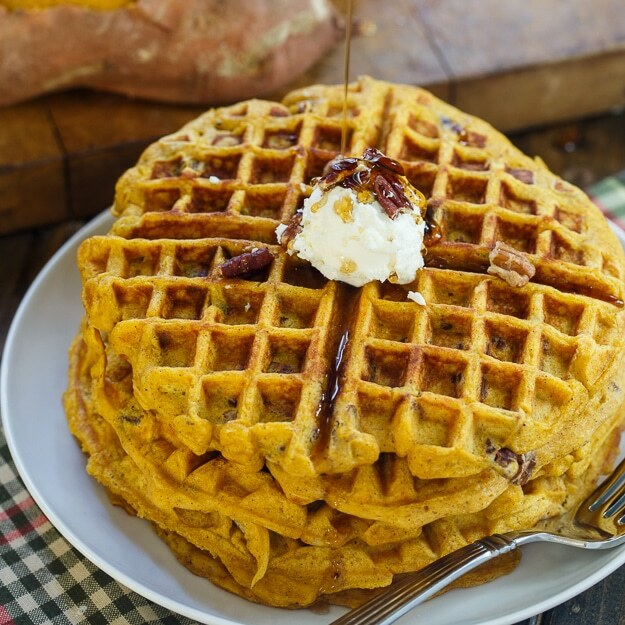 What a great idea, never would have thought about using sweet potatoes in waffles – love this! Looks delicious. Hope you enjoy them June!